Since Fall 2011, entering students of UTHealth have learned about ethics and professionalism through the experiences of the Brewsters. 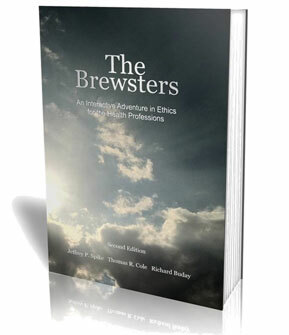 The Brewsters are a fictional family featured in the book The Brewsters: An Active Learning Experience in Health Professional Ethics authored by Jeffrey Spike, PhD, Thomas Cole, PhD, and Richard Buday, FAIA. So far, the activity has reached nearly 10,000 students. Students follow the family’s interactions with healthcare students and physicians, dentists, nurses, researchers, and other professionals in this innovative, choose-your-own adventure novel. The novel unfolds in three acts: 1) Professionalism, 2) Clinical Ethics, and 3) Research Ethics. Students choose a character for each act and make decisions along the way. At the conclusion of each act, instructional materials are provided. At UTHealth, The Brewsters is part of the curriculum at all six schools. Students at the Graduate School of Biomedical Sciences, McGovern Medical School, and the Schools of Biomedical Informatics, Dentistry, and Public Health complete the activity through linked courses, and students at the Cizik School of Nursing participate through Orientation. Students are also assessed through a pre- and post-examination to evaluate students’ knowledge of ethics and professionalism. Research has been conducted, presented at conferences, and published. In February 2012, The Brewsters earned first place in “Innovations in Health Science Education”, an honor awarded by The University of Texas System.